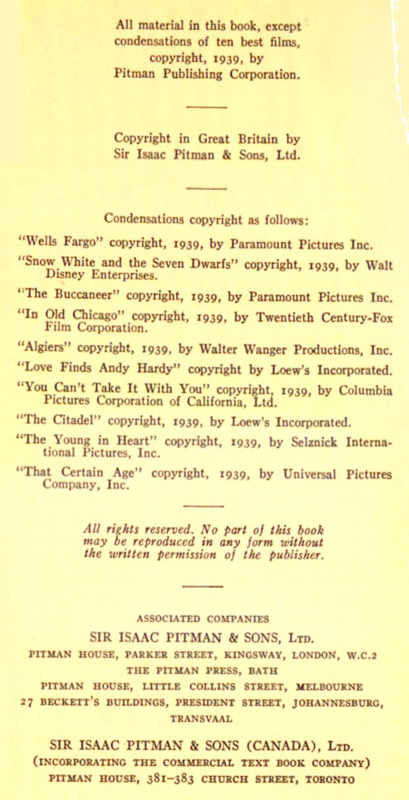 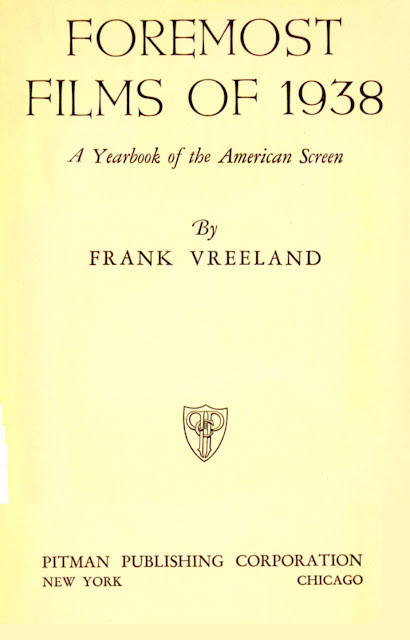 Foremost Films of 1938 is a 347-page book published in 1939. 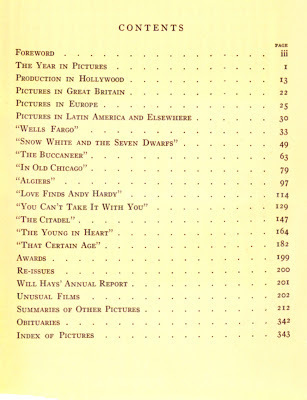 It's a film yearbook of sorts that features chapters on movies in Hollywood, Britain, Europe and Latin America. 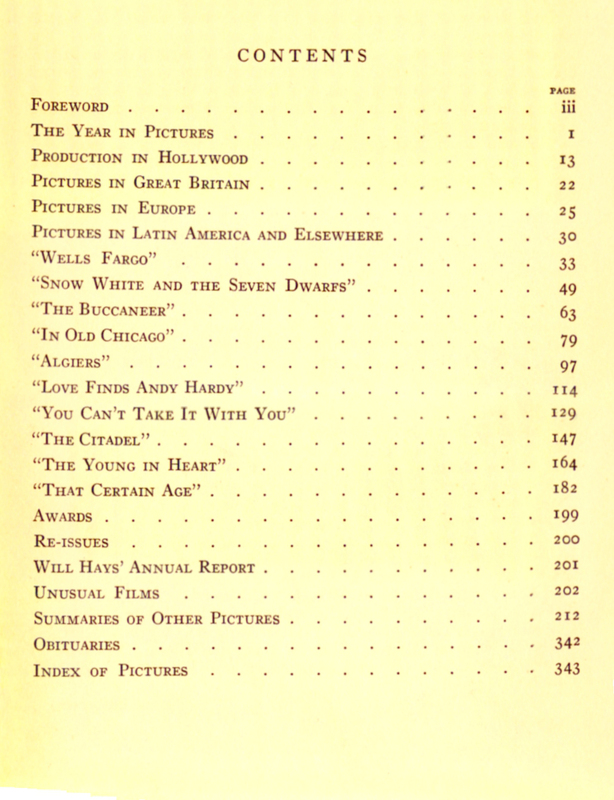 There's description and analysis of several individual films of the year including Wells Fargo, Love Finds Andy Hardy, and The Young At Heart, plus shorter reviews of many other movies, awards and obituaries. 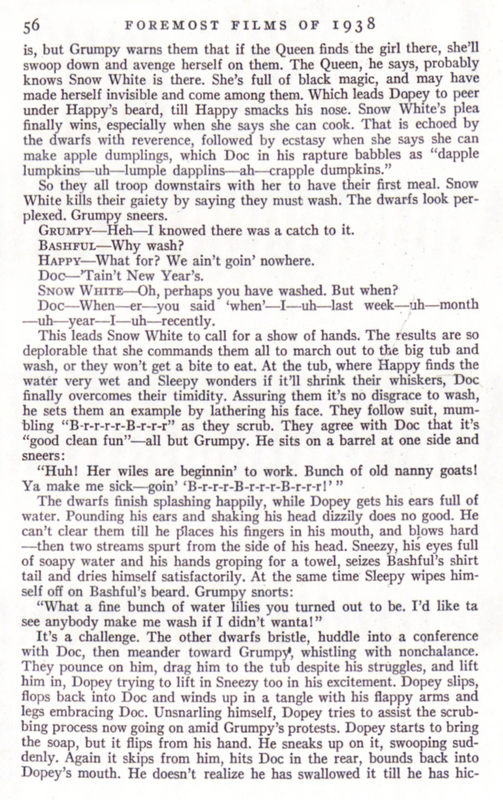 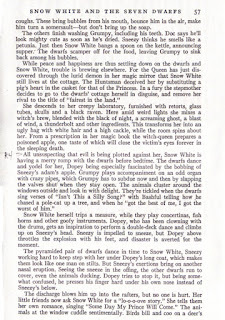 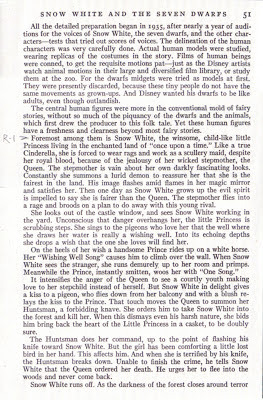 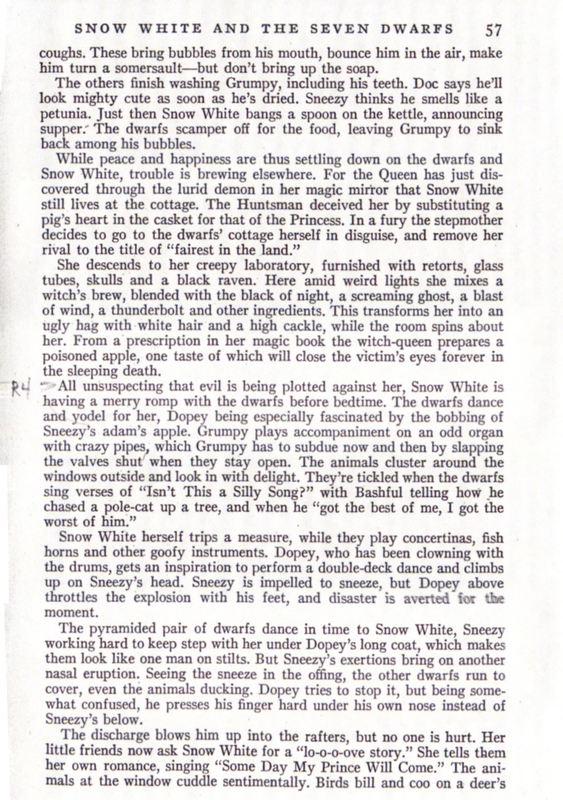 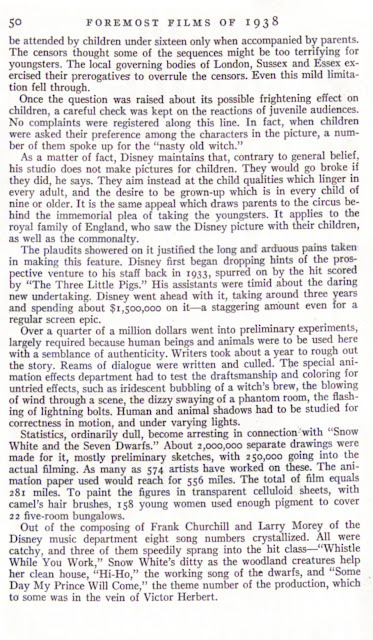 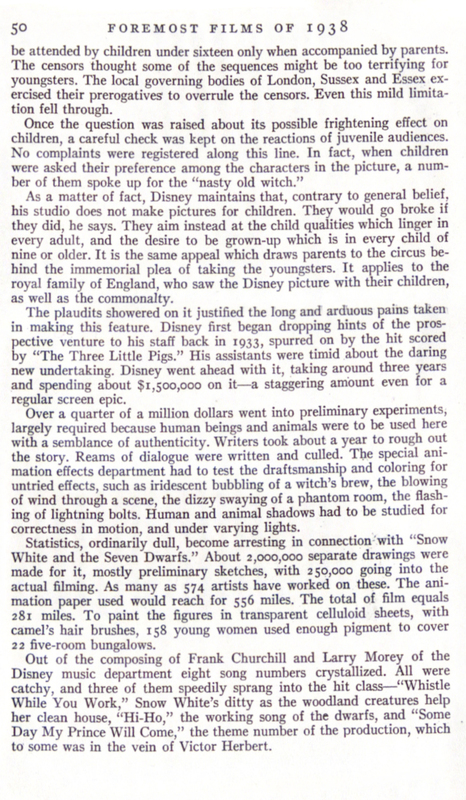 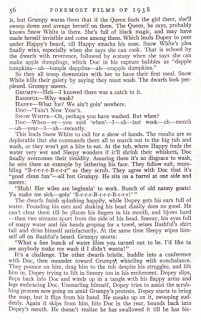 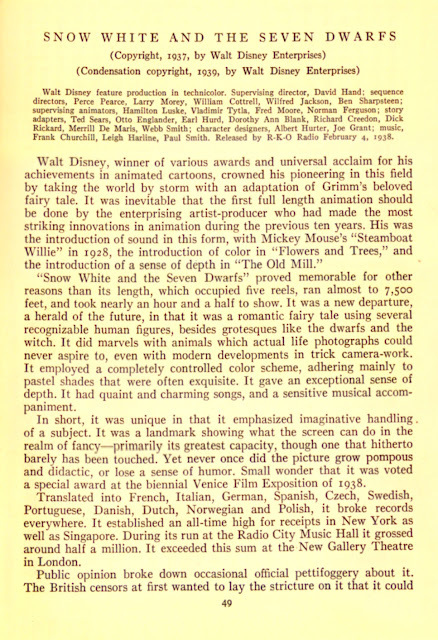 And of course there is a review and analysis of Snow White and the Seven Dwarfs. 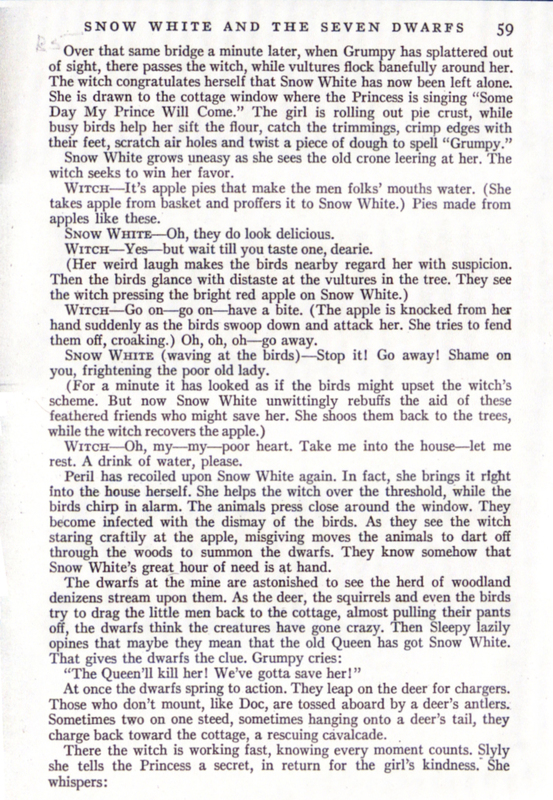 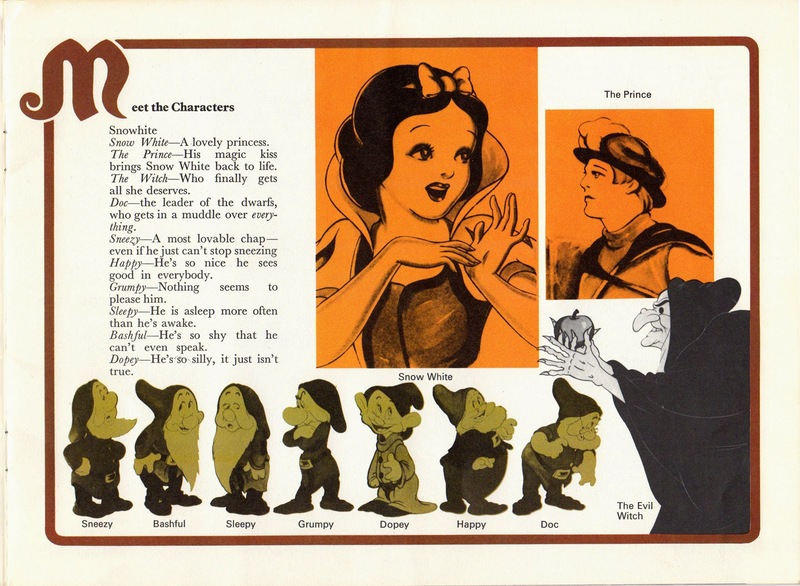 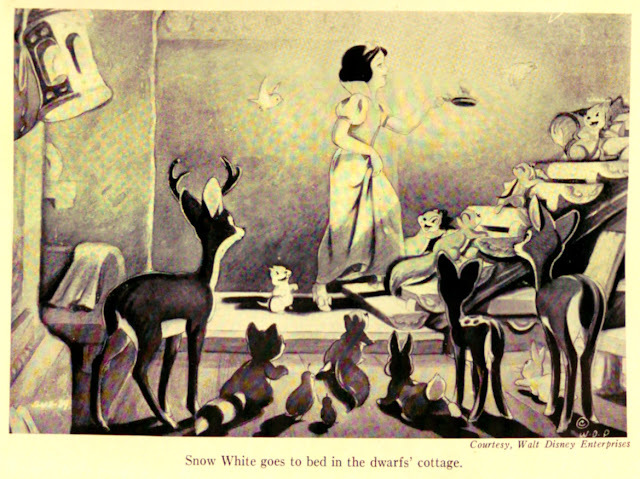 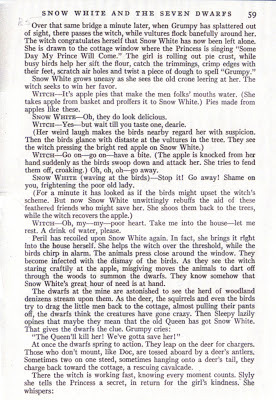 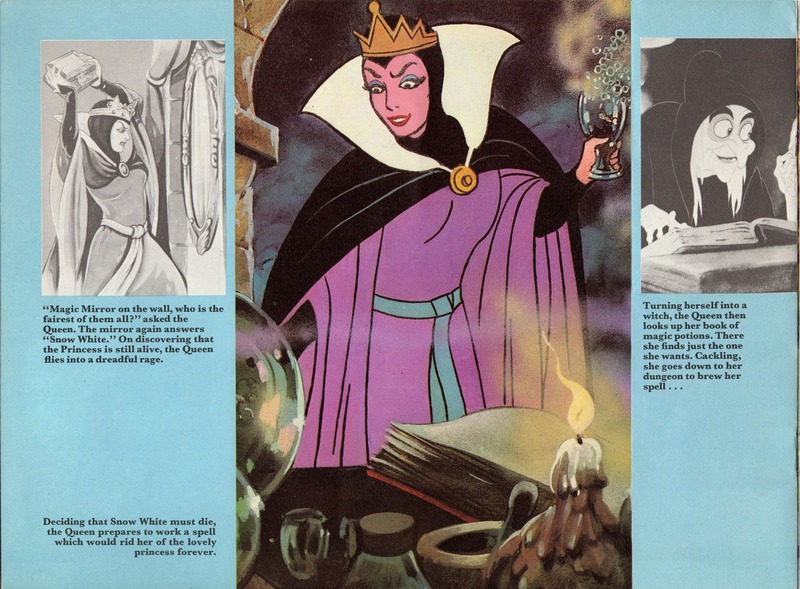 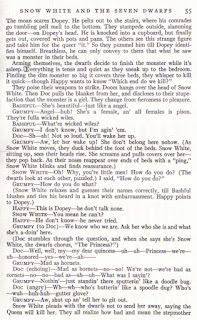 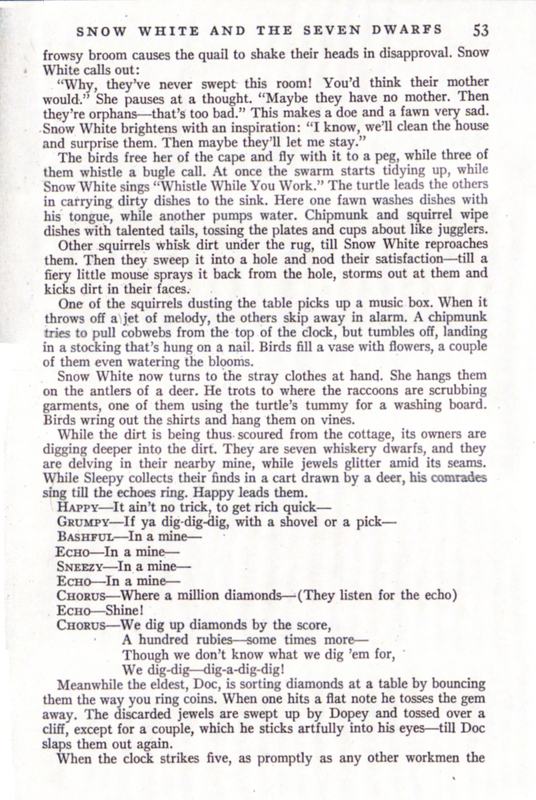 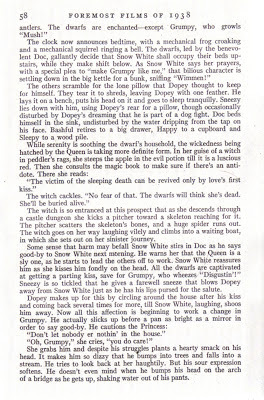 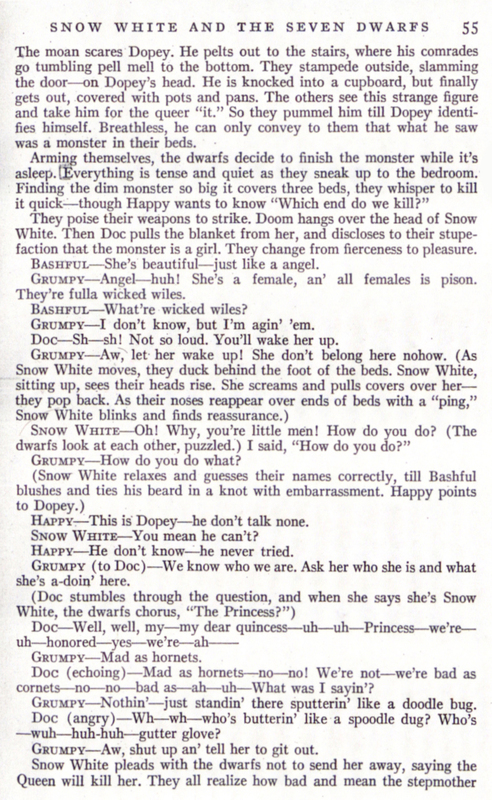 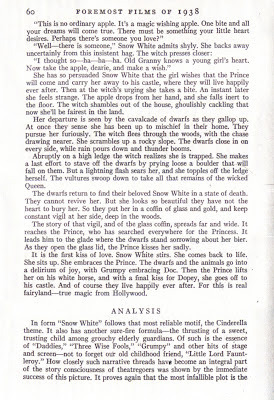 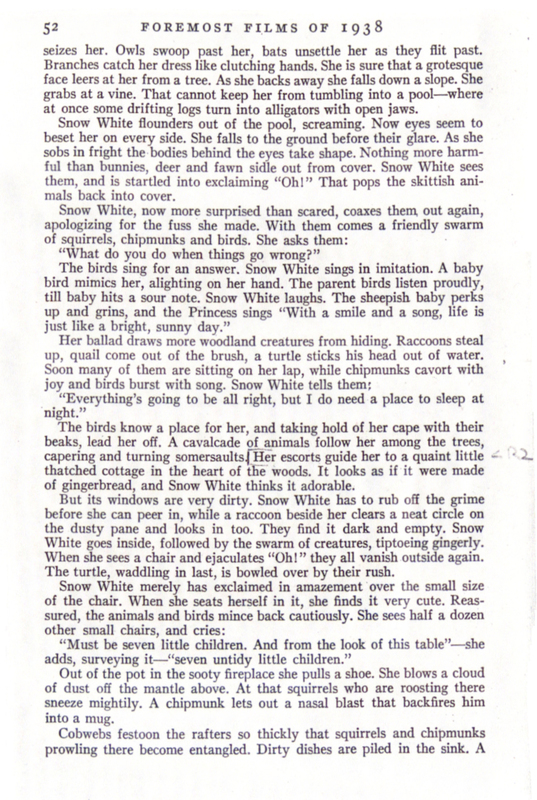 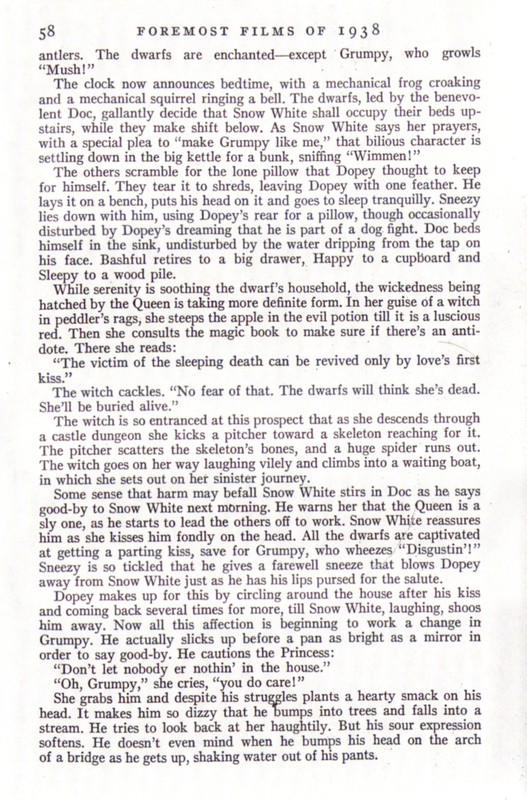 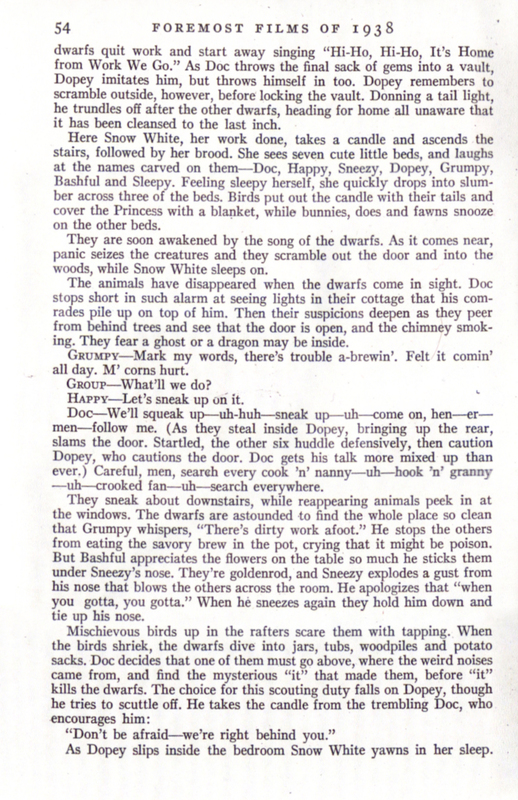 The 14-page chapter on Snow White includes a detailed retelling of the film's story. 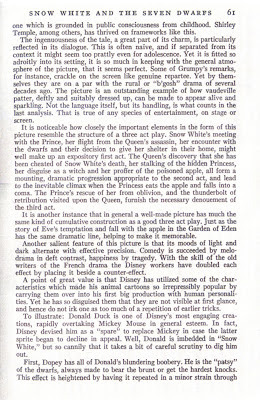 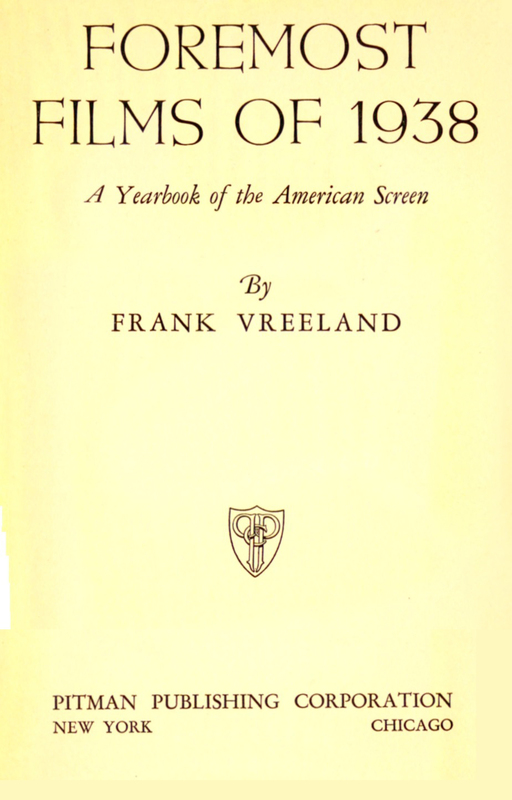 An analysis of the film begins on page 60. 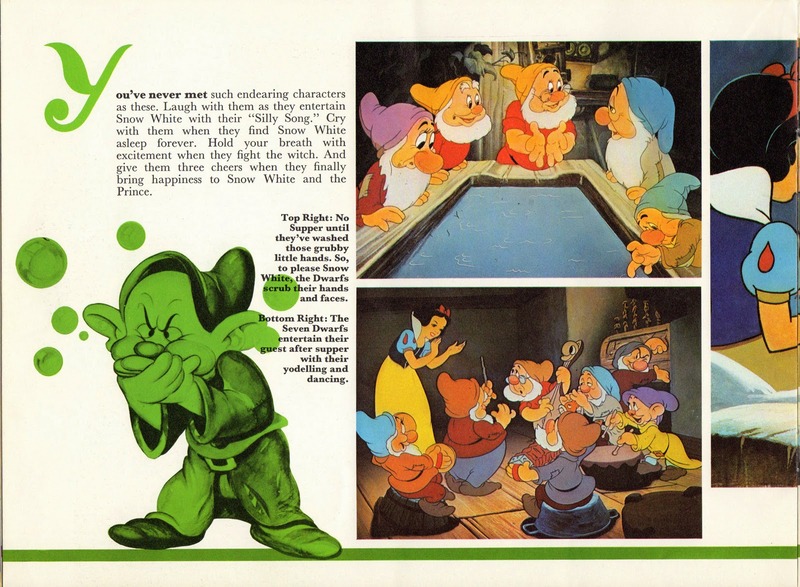 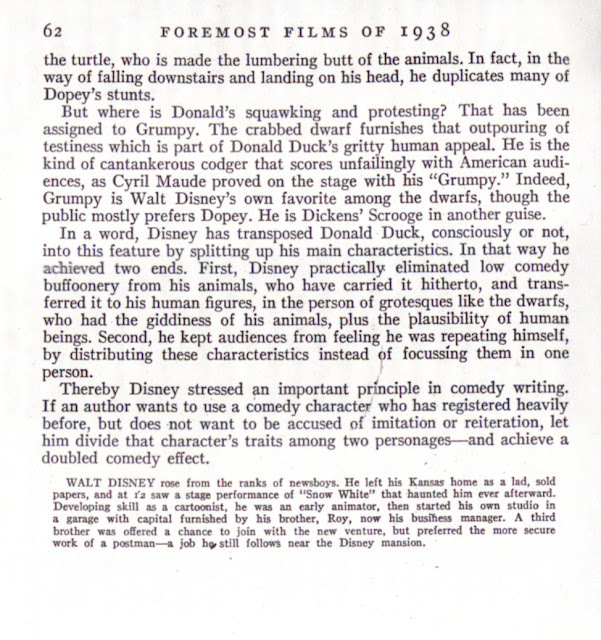 It includes an interesting comparison of Dopey and Grumpy to Donald Duck, and how the two dwarfs take on specific and distinct aspects of the feathered character. 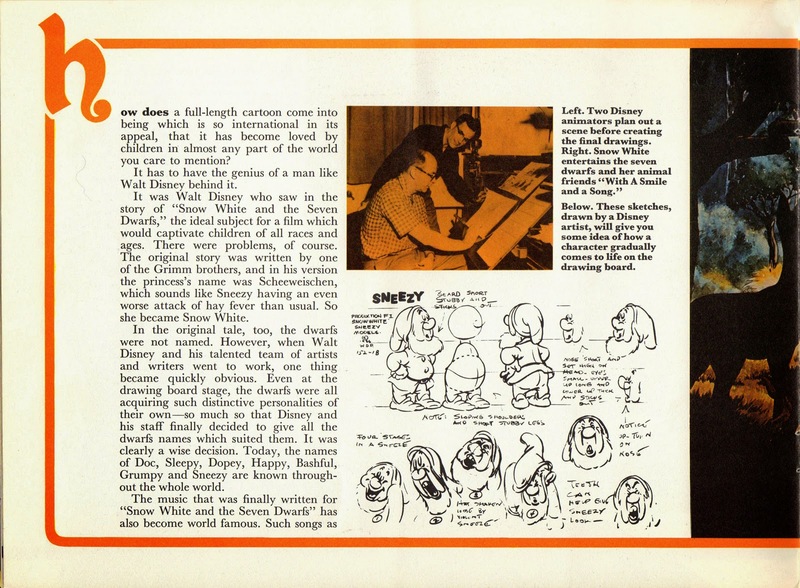 Special thanks to Michael Filippello for sharing info and scans from this book. 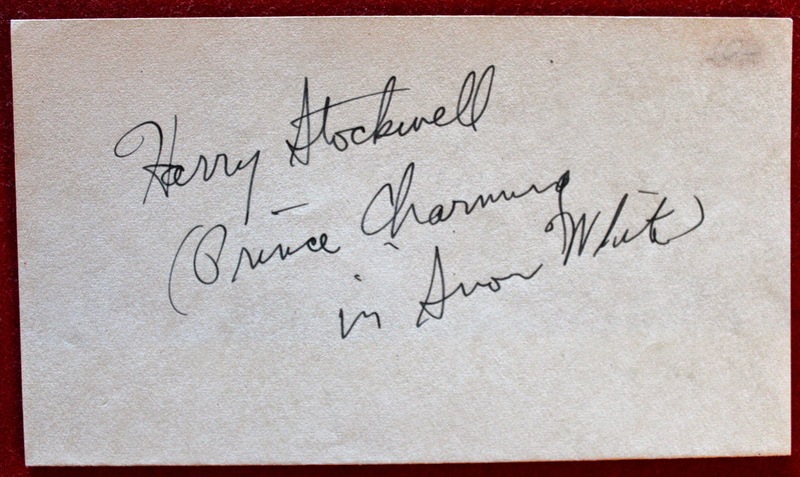 From the Michael Filippello Collection comes a couple of autographs by Harry Stockwell--the voice of the Prince in Snow White. 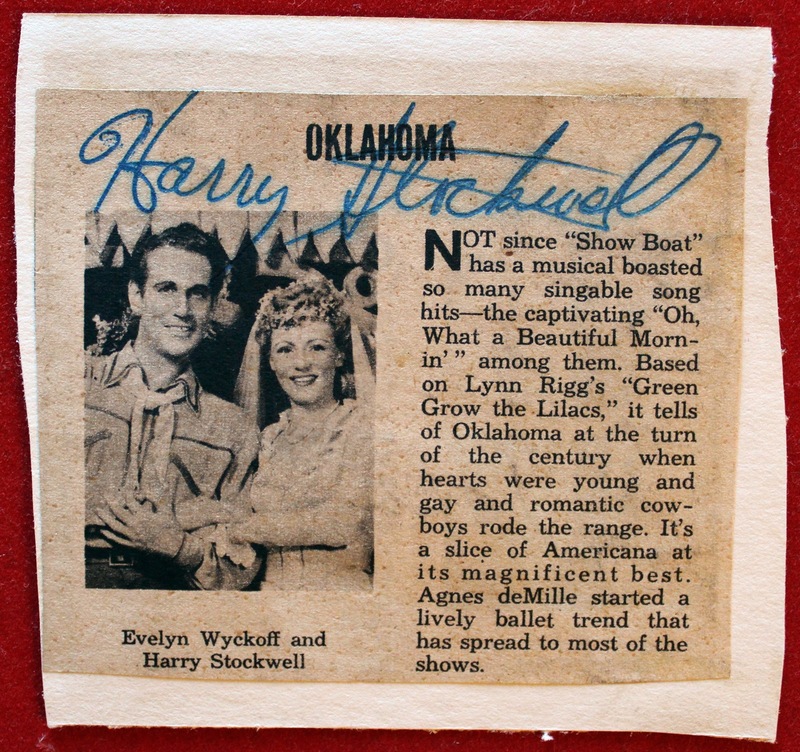 The first is on a newspaper clipping that was probably signed in person when he was performing in Oklahoma, circa 1944, at the St. James Theatre in NYC. 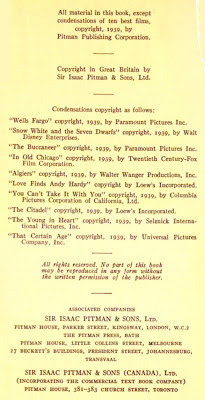 The other is a page from an autograph book. 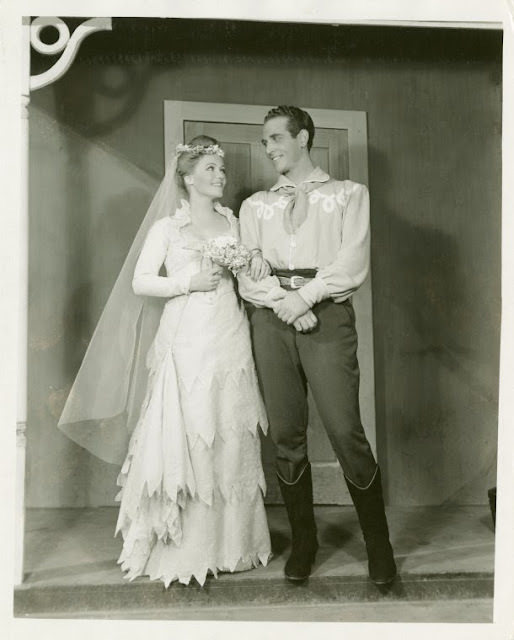 Here's an Oklahoma publicity photo with Harry. 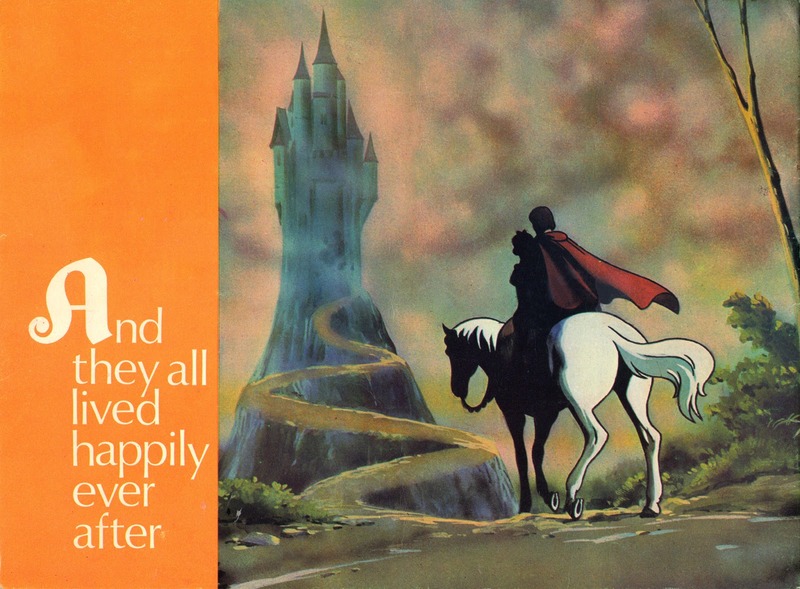 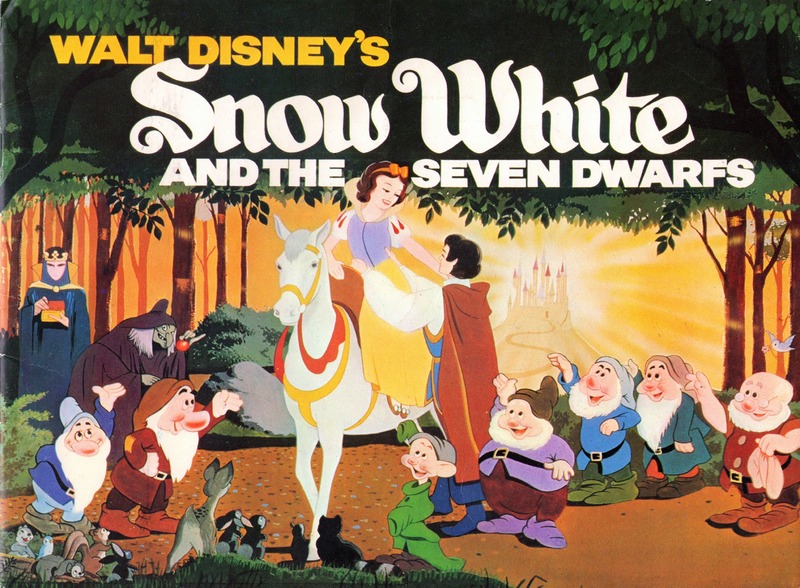 This Super 8 film features a ten-minute digest of the Snow White movie. 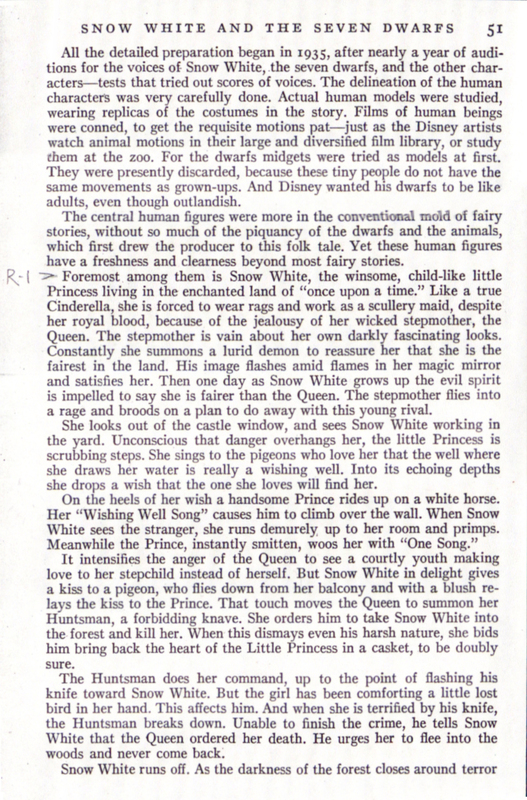 Includes scenes of the Queen with Magic Mirror, the Old Hag and the apple, the Witch on the clifftop, and the Prince kissing Snow White. 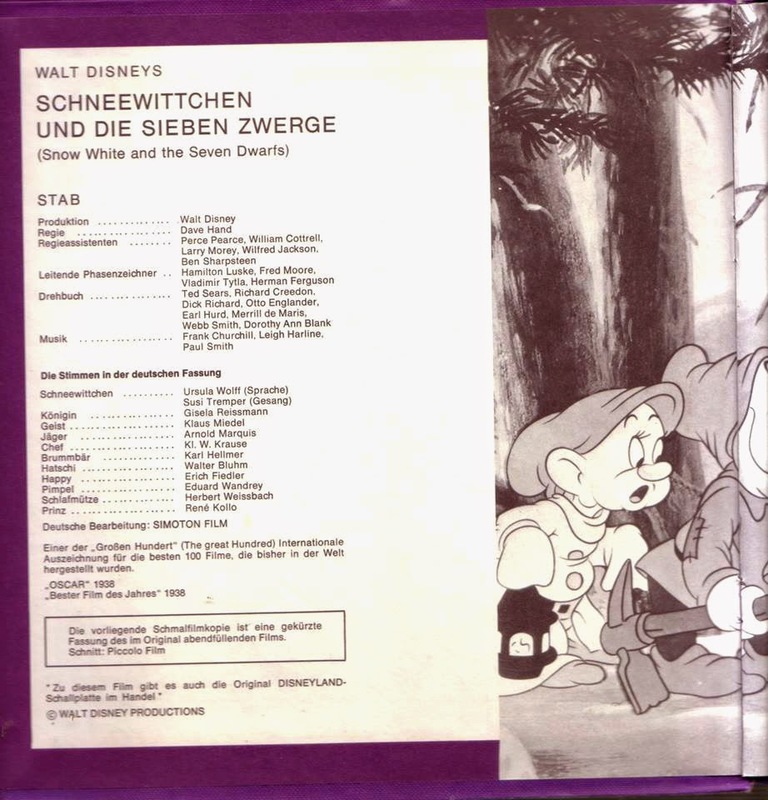 Dubbed in German. 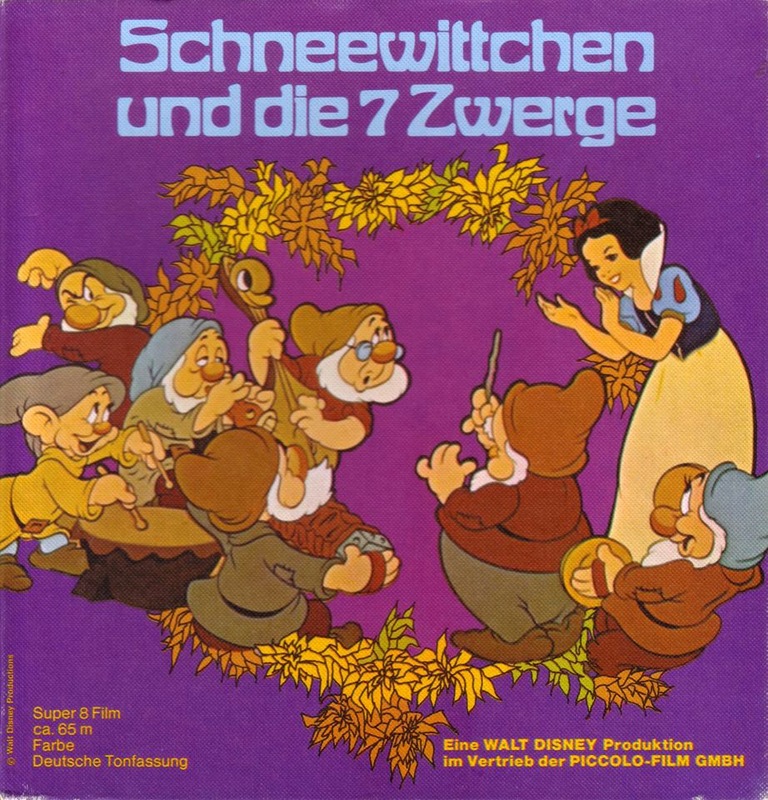 Distributed by Piccolo Film. 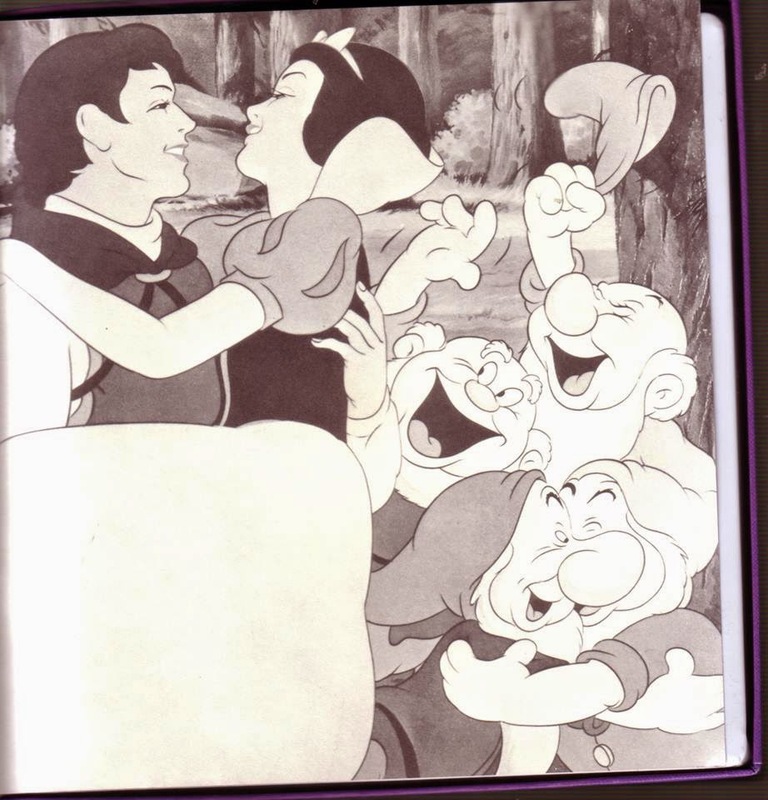 Full color. 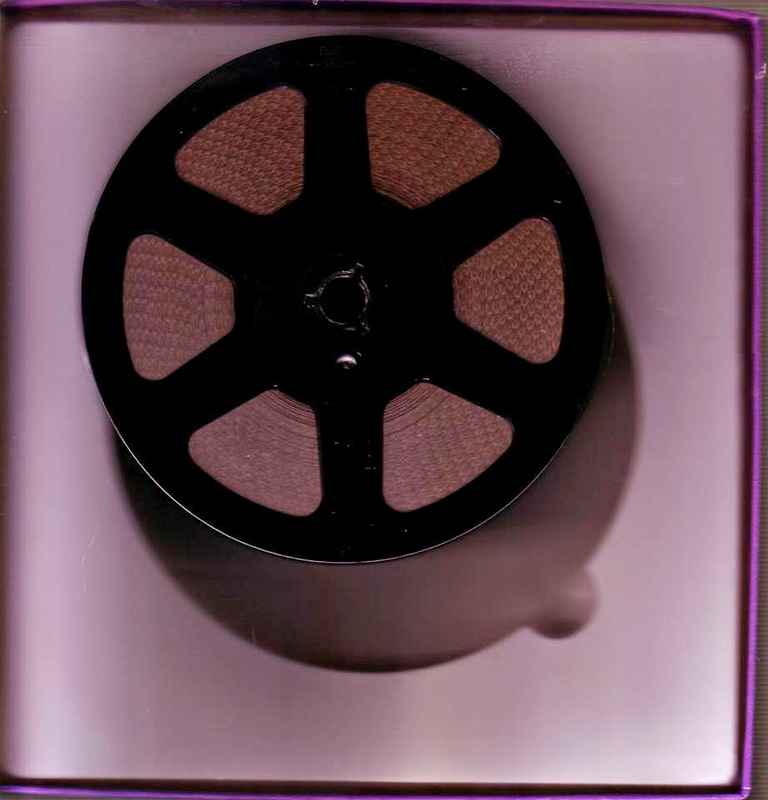 Reel length: 275'. 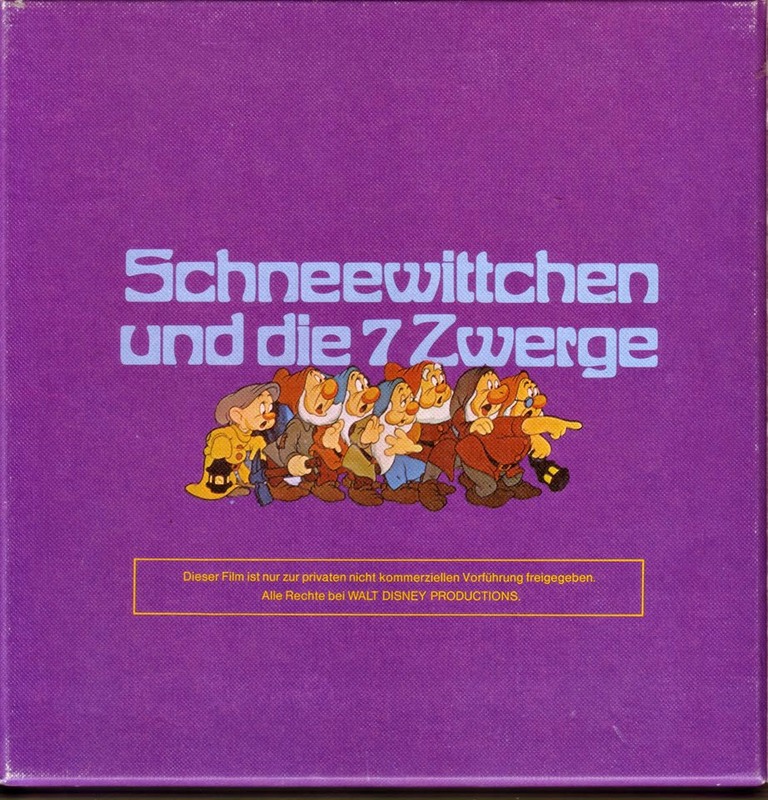 Dates circa 1973. 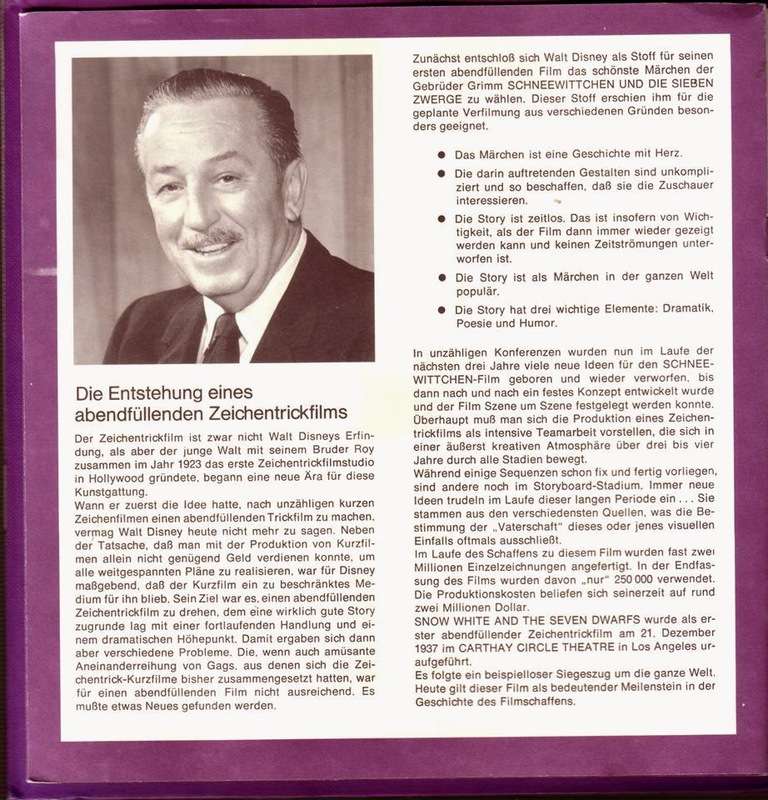 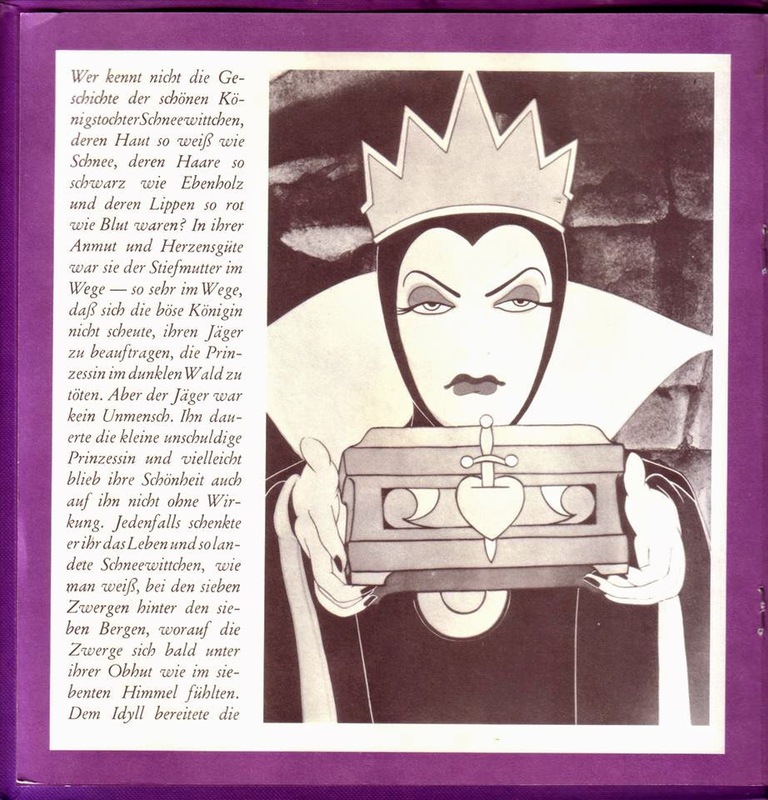 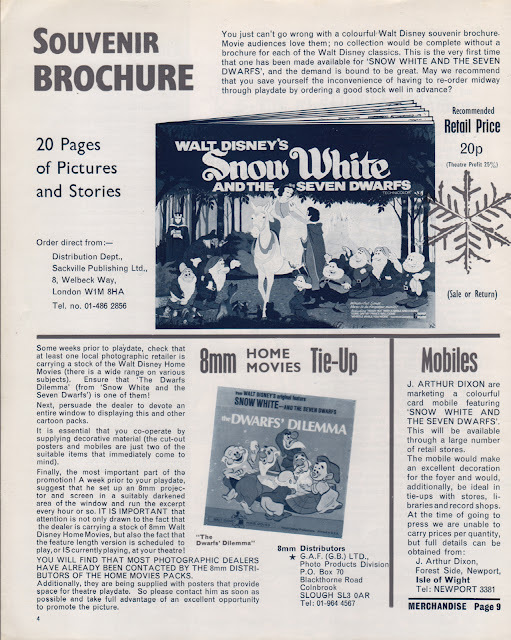 Open the lid and the box includes an attached internal booklet--seven pages with a synopsis of the story, plus info on the picture and Walt Disney. 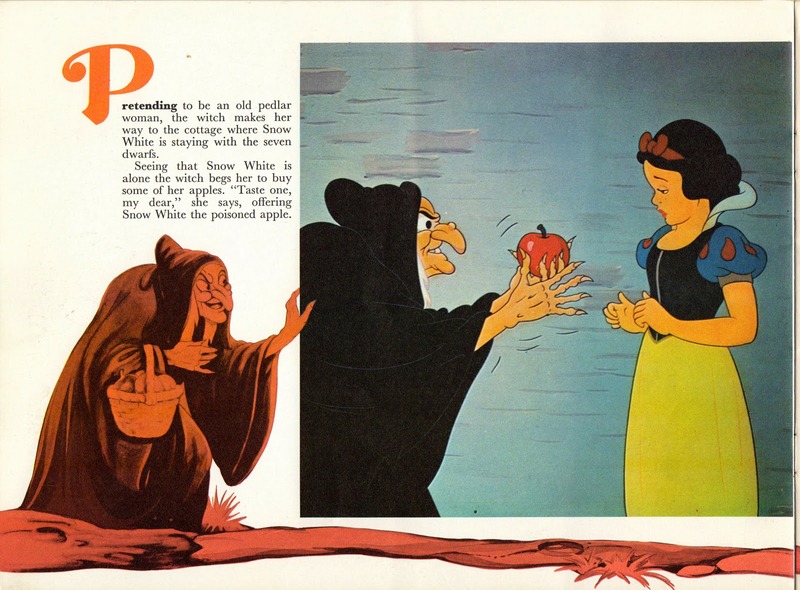 This has to be one of the rarest Snow White posters in existence today. 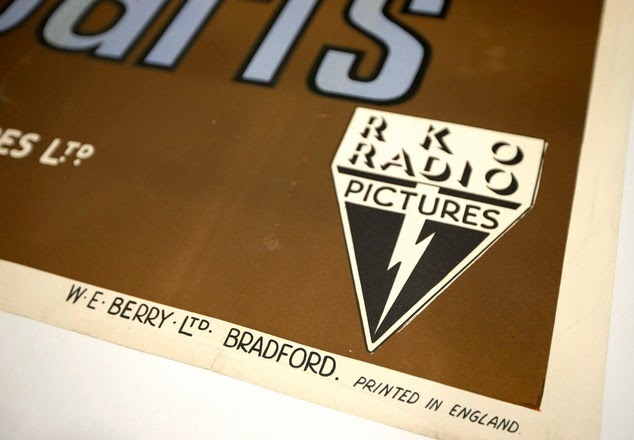 A 1938 British 24-sheet billboard, it measures 234.25" x 119" (that's approximately 20' wide x 10' high)! 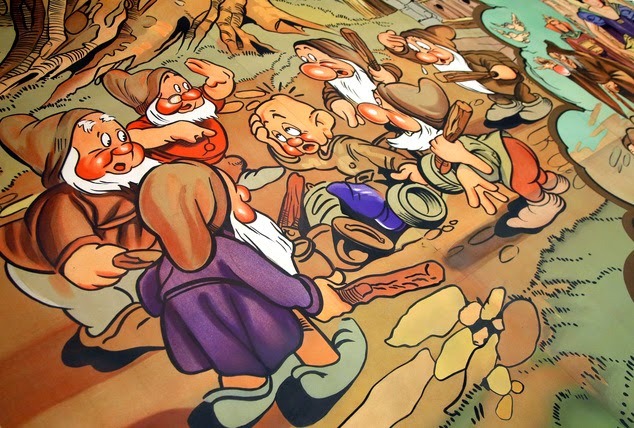 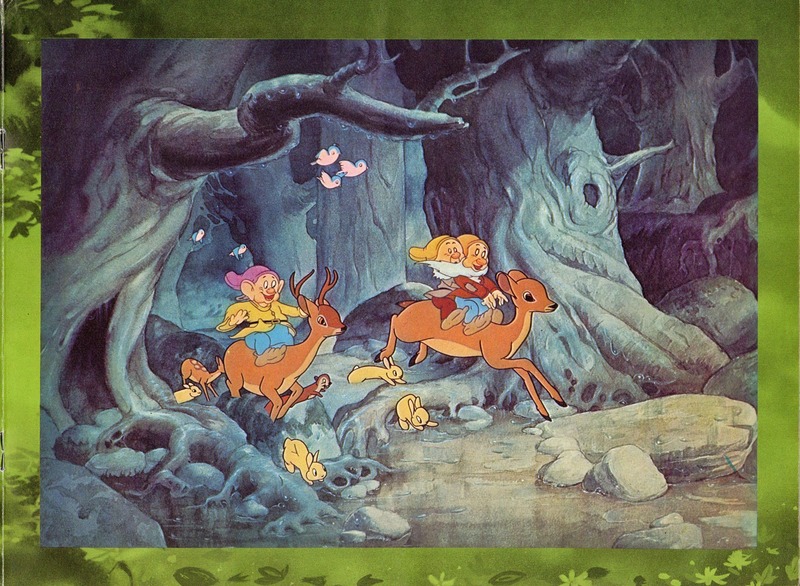 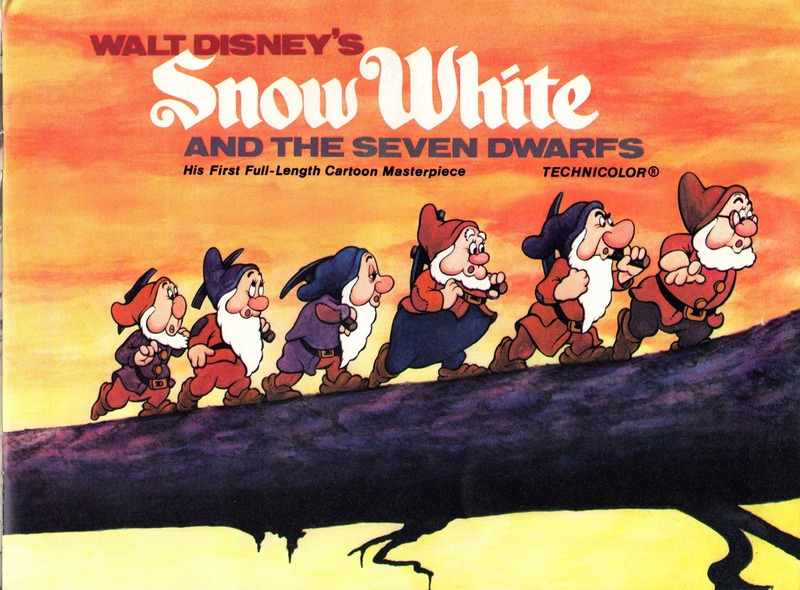 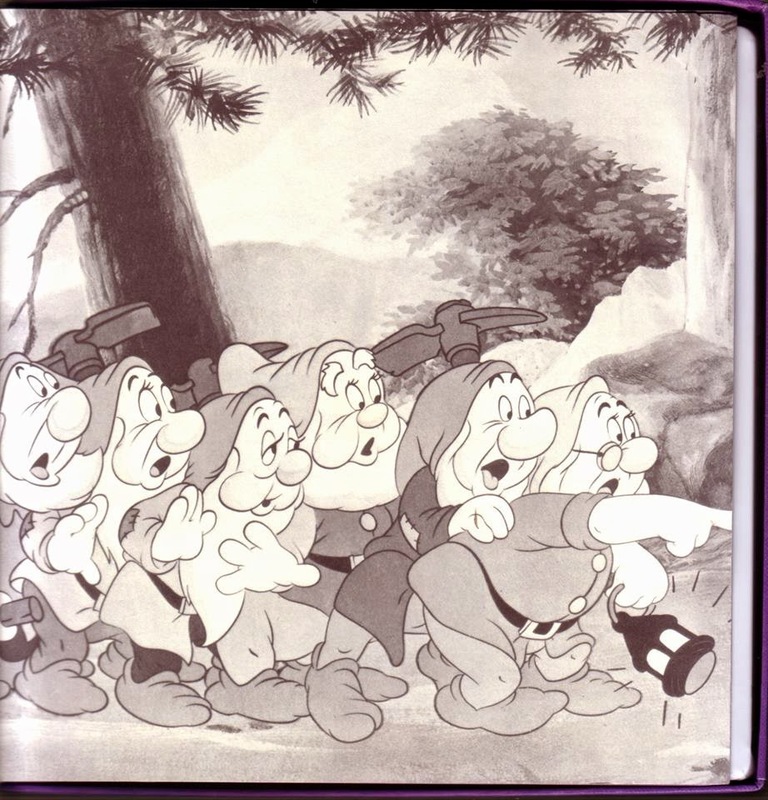 The artwork is based on the designs of Disney artist Gustaf Tenggren and features three distinct scenes. 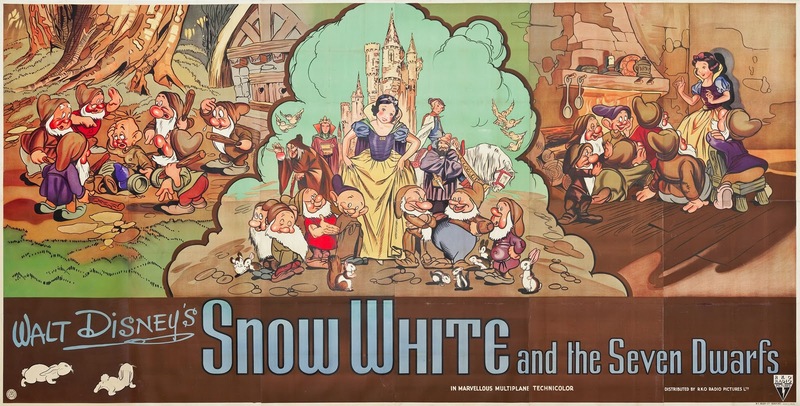 Poster image via Heritage Auctions. 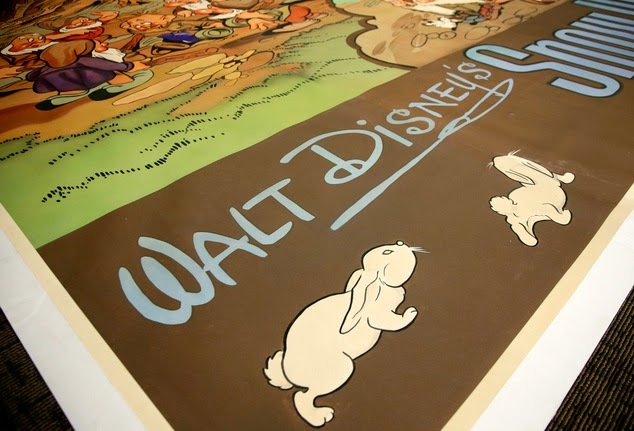 Five months ago, the poster went up for sale through Heritage Auctions. 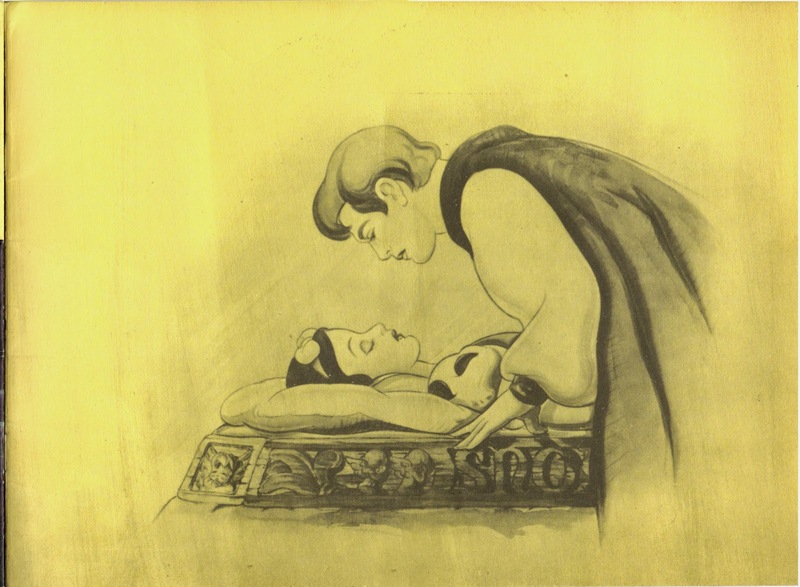 Apparently, it once belonged to a French woman who had it stored in her attic. 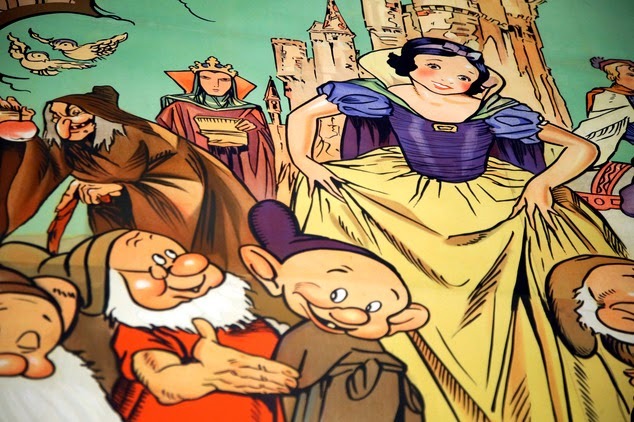 She sold it to a movie poster dealer in Paris, who in turn moved it along to the private collector who put it up for auction this year. 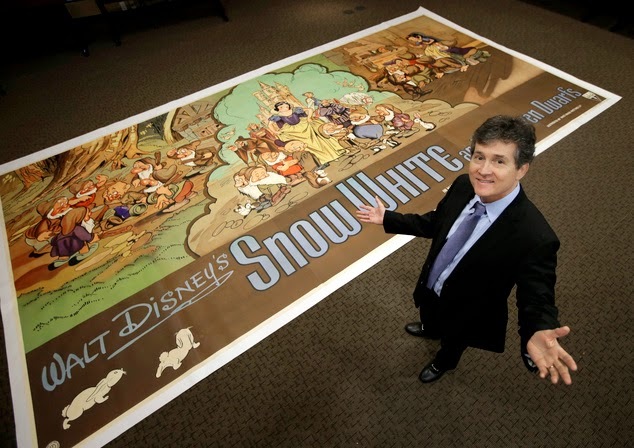 Heritage Auctions' Grey Smith, director of vintage movie poster auctions, poses with the billboard. 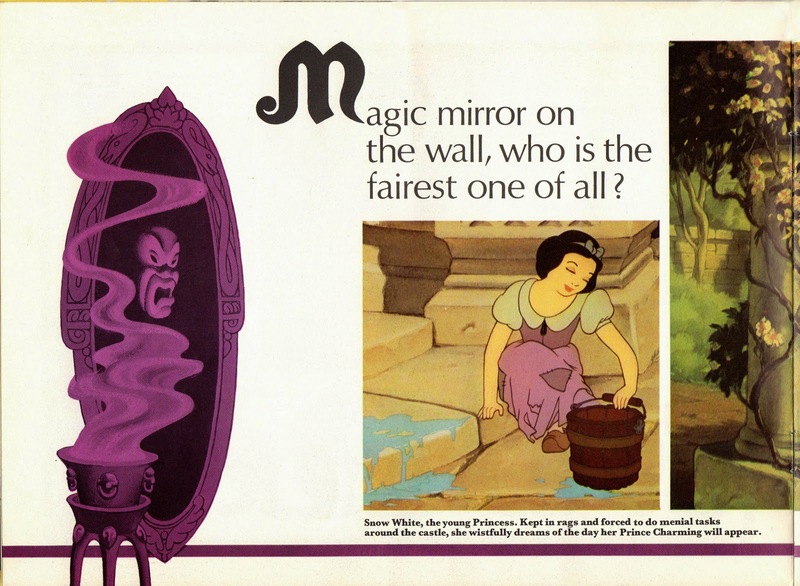 The poster was originally printed by W. E. Berry Ltd, Bradford. 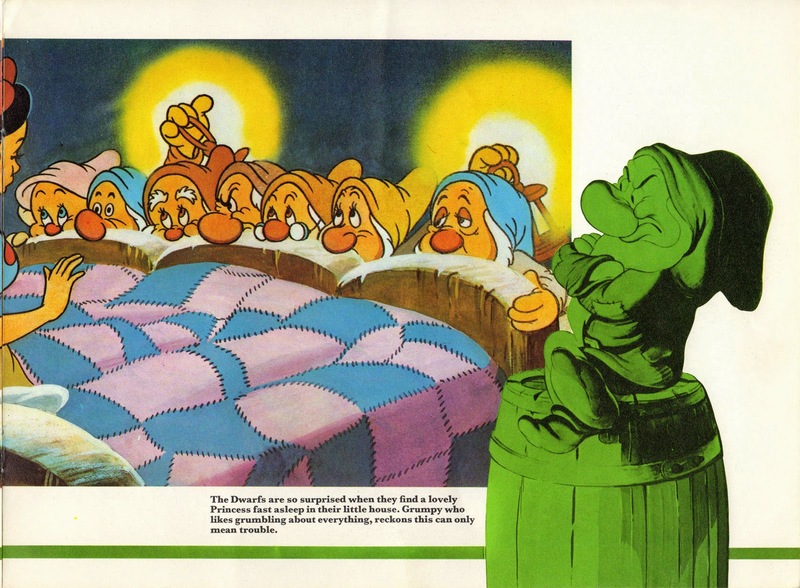 The piece was in excellent condition, except for the original bottom left panel which was missing. 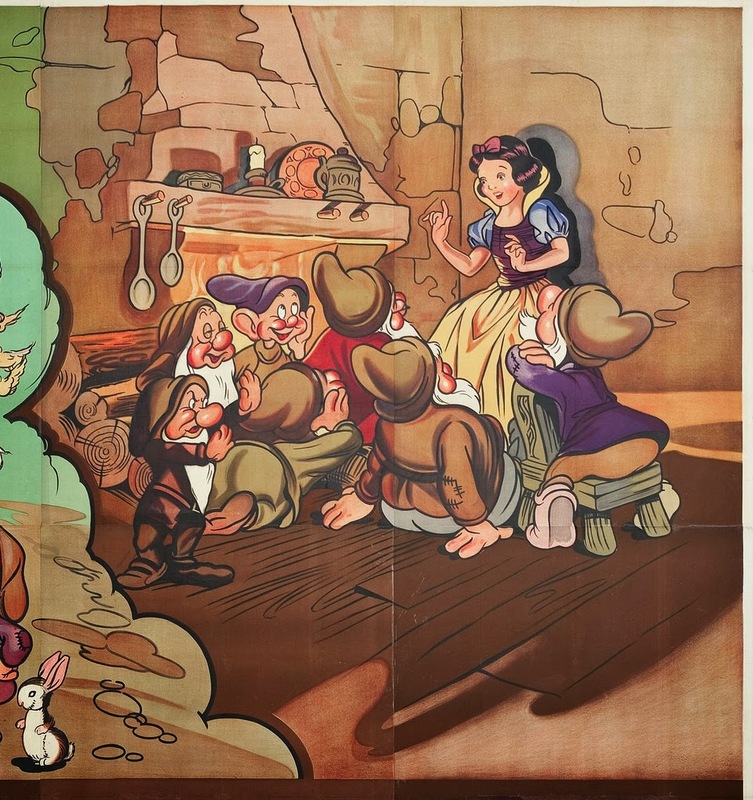 The owner had it professionally restored and the entire poster placed on linen. 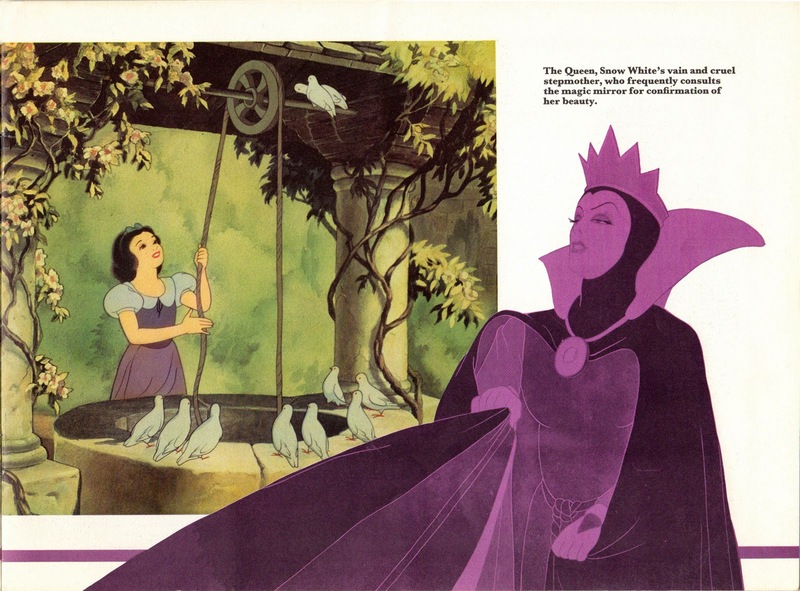 On July 19, 2014, it sold for $10,755.00 (USD). 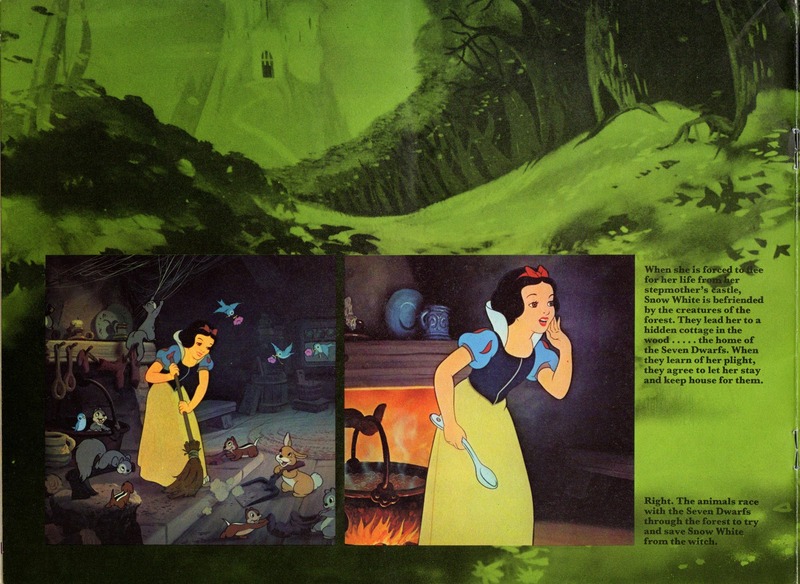 AP Photos by Tony Gutierrez via DailyMail. 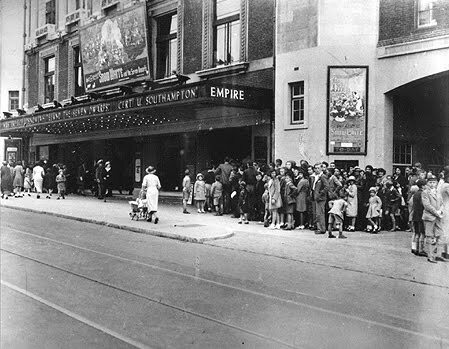 In a 1938 photo of the Empire Theatre in Southampton, Hampshire, UK, we see a crowd outside waiting for tickets to see Snow White. 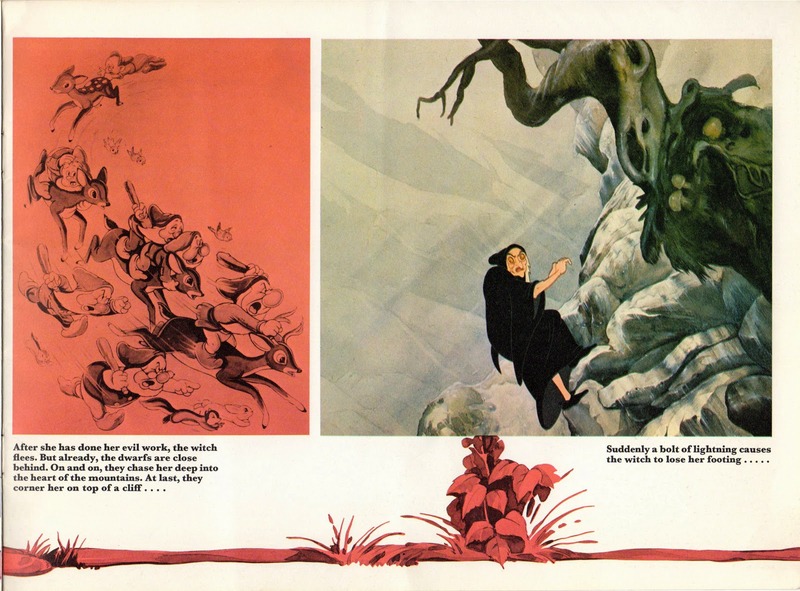 Note the oversize poster to the right, possibly an eight-sheet. 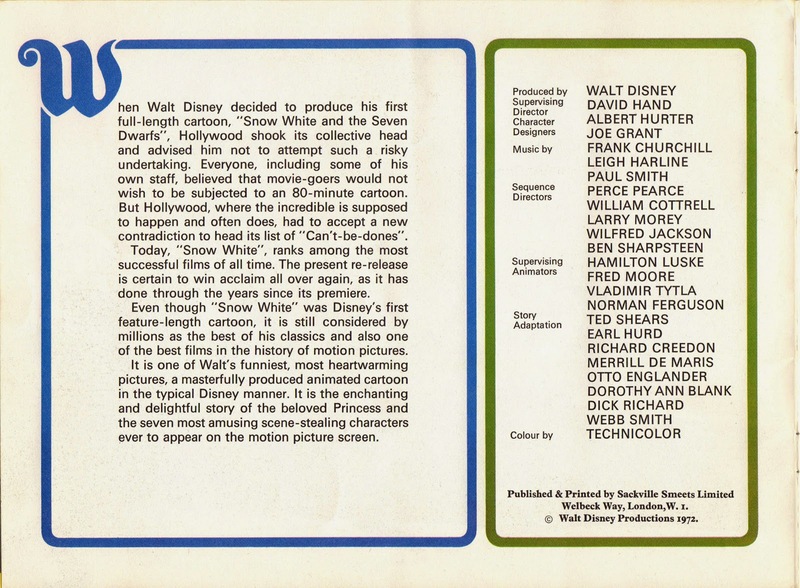 It actually looks small compared to this 24-sheet seen above the marque. 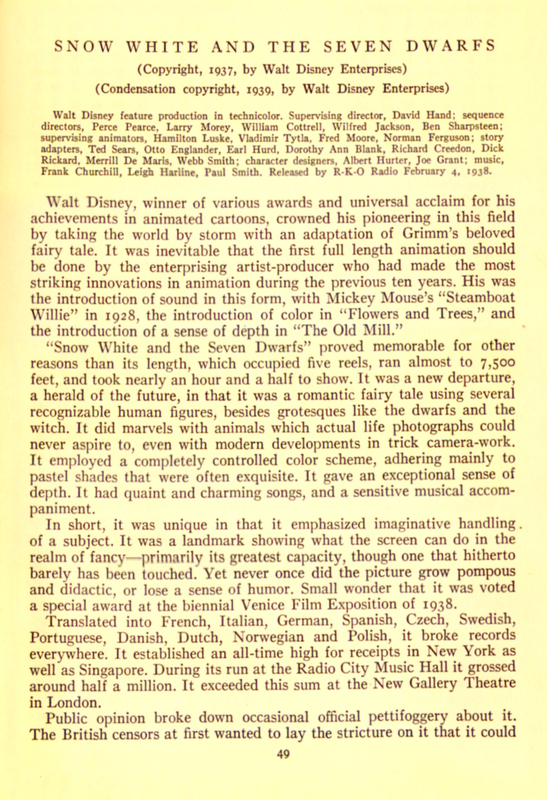 This is what our 24-sheet looked like in action 76 years ago. 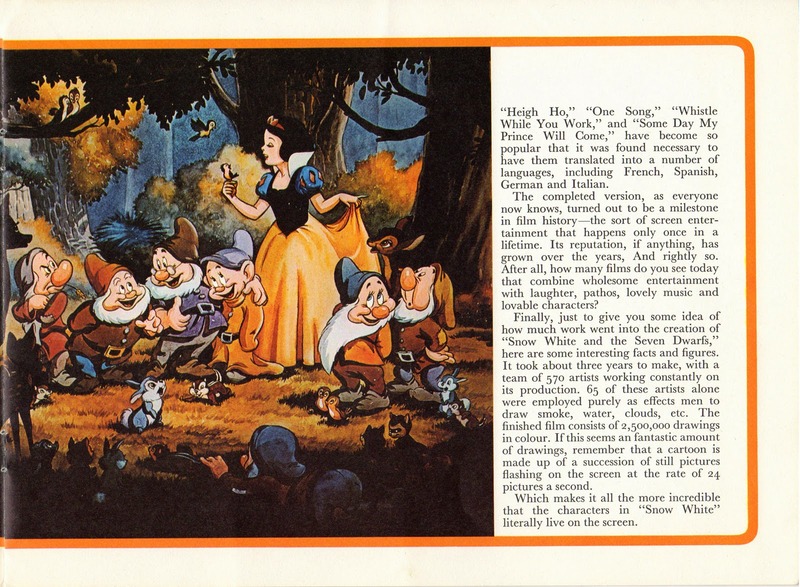 The fact that one of these billboards has survived to this day is truly amazing! Vintage image via Mayflower Theatre site. 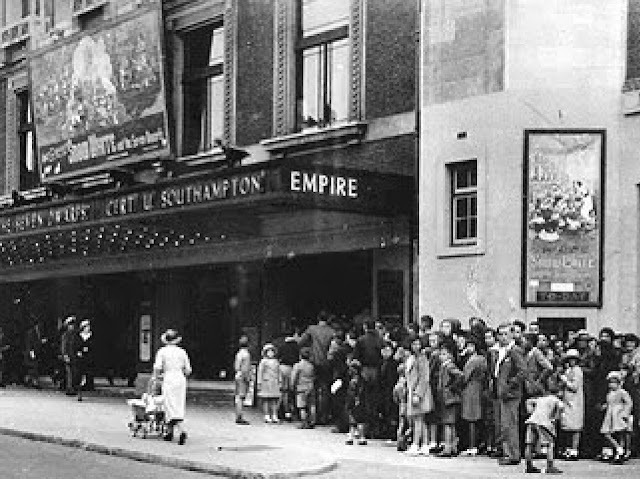 It goes without saying that the folks standing in line below, paying only a few coppers for their movie tickets, could never have imagined that the billboard that drew them into the theatre would someday be worth over $10,000. 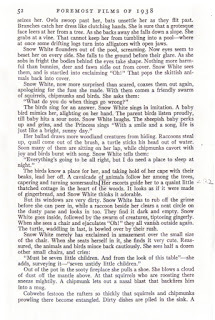 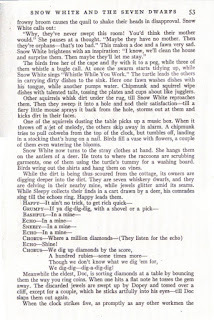 This British Snow White souvenir brochure was published in 1972 by Sackville Smeets Limited, Welbeck Way, London. 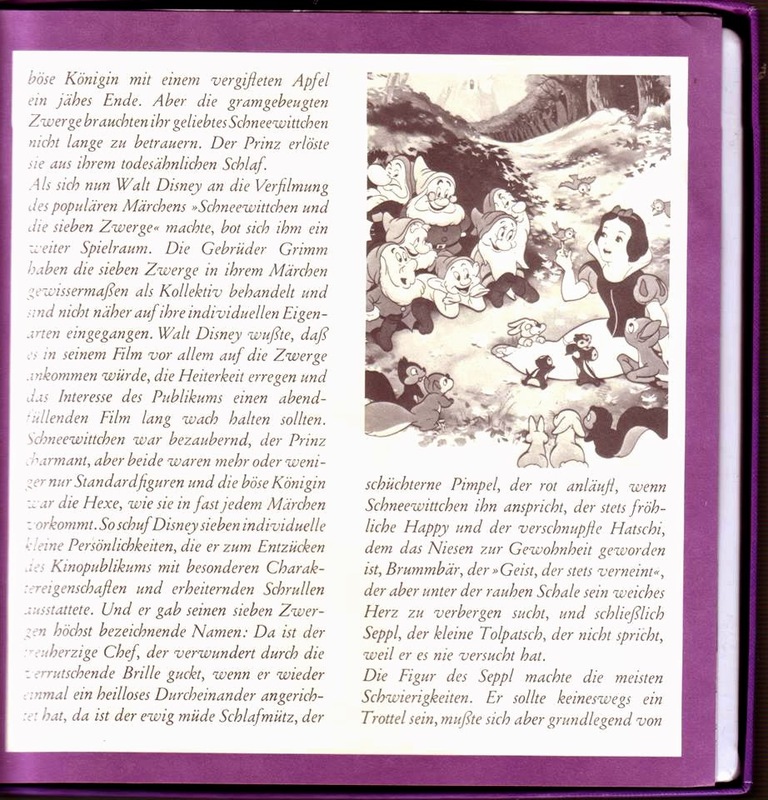 It has a total of 20 pages (including the front and back covers). 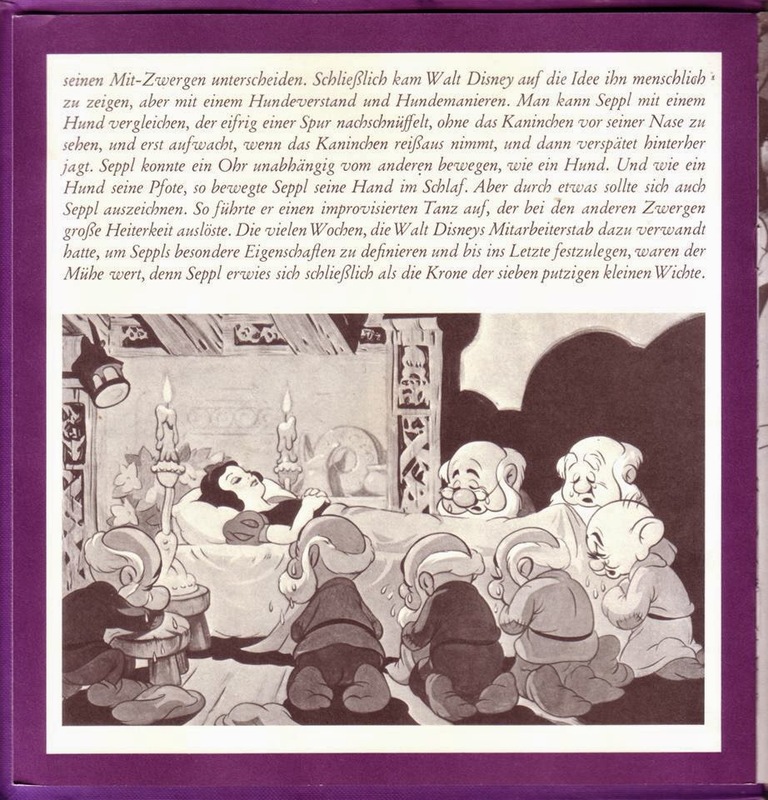 The commemorative booklet was meant to be sold to theatre audiences. 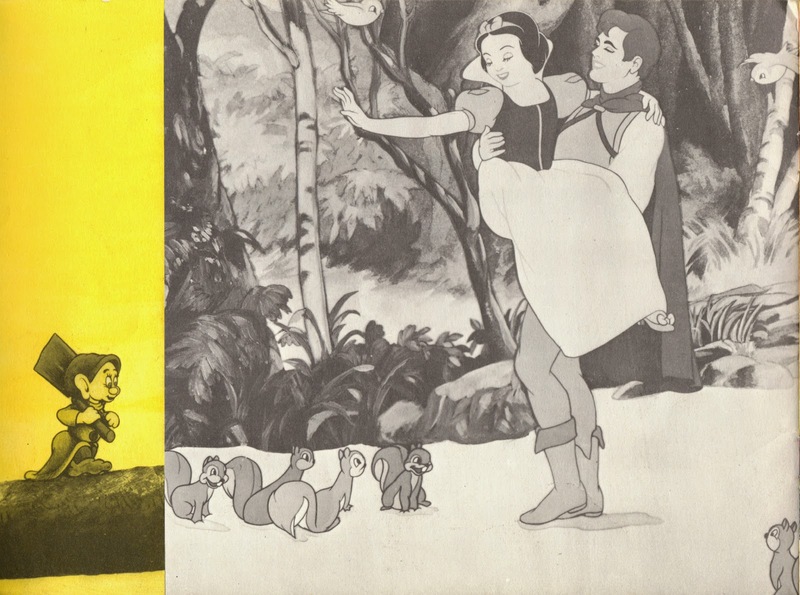 Brochure images courtesy of the Greg Philip Collection via A Lost Film. 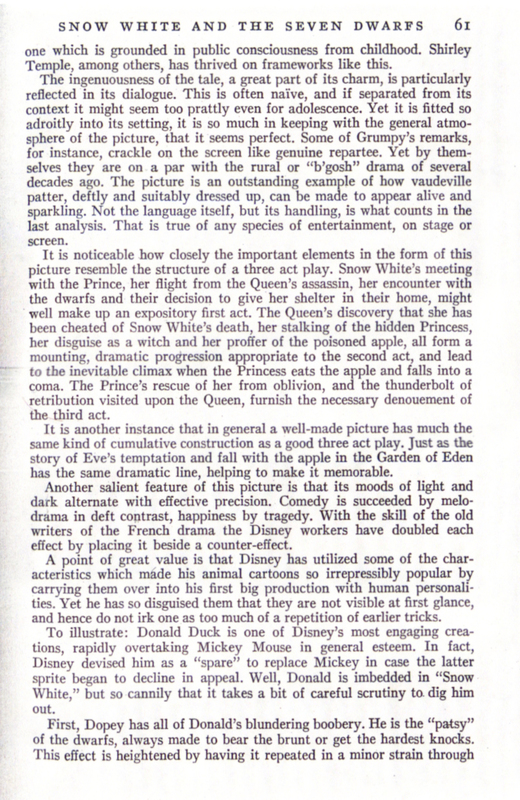 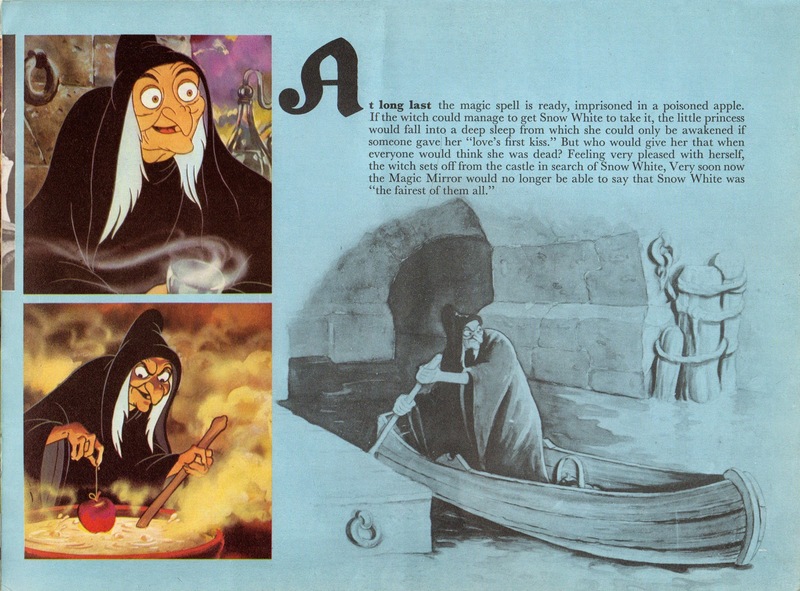 The brochure was available to theatre owners in the 1972 UK pressbook (p.4). Recommended retail price 20p. 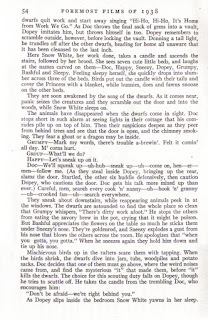 Pressbook page courtesy of the Richard Hollis Collection. 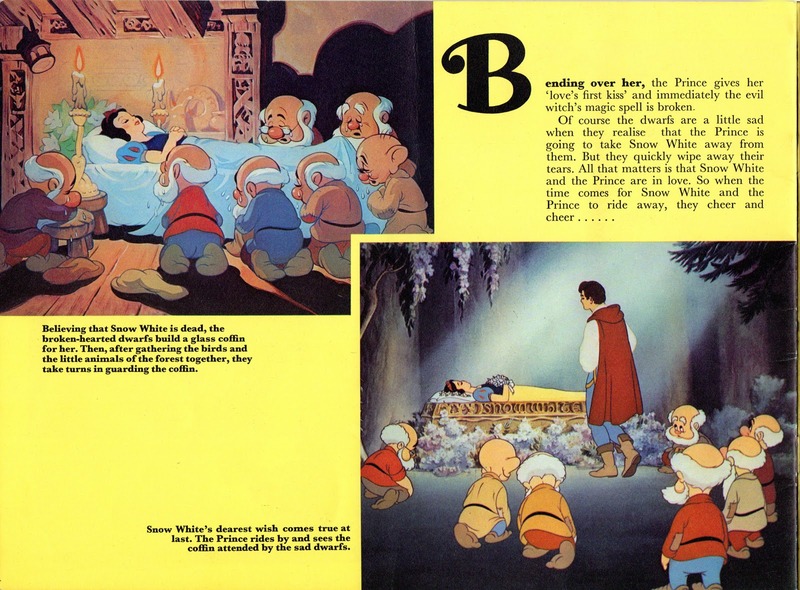 5 Years of Snow White Blogging!